For the first time in 25 years (and my entire lifetime), my favorite team–the Detroit Red Wings–have missed out of the NHL’s Stanley Cup Playoffs. I had seen this day coming for a long time, probably since December or January. I realized that the team I watched hit the ice every night was not a playoff team. 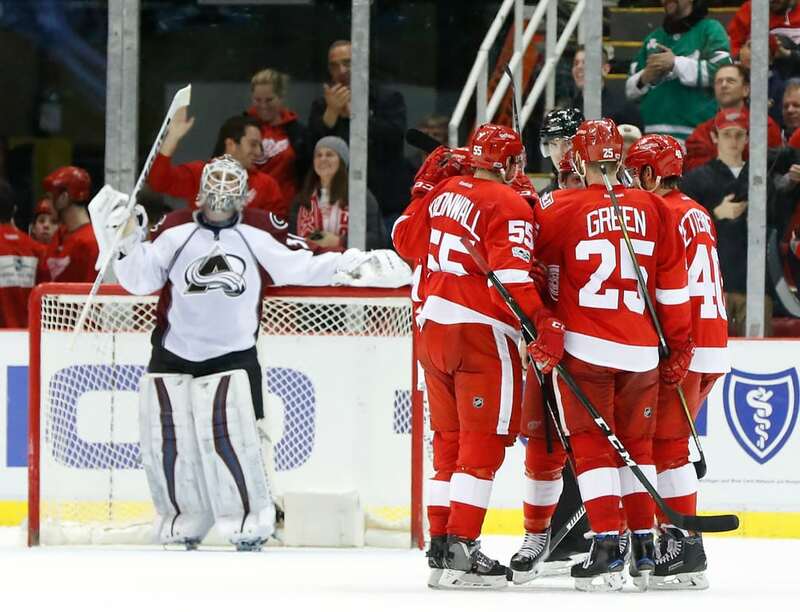 The magic of Pavel Datsyuk was gone, and scoring disappeared from multiple players. For example, Dylan Larkin’s goal production has dropped by 7, and his point production has dropped by almost 30. Not to mention Riley Sheahan, a former first round pick who has not managed to light the lamp at all this season, breaking the record for most shots without a goal. Although I recognized that the odds of the Wings making the playoffs were not high, there was still a little shock when seeing the words “the Detroit Red Wings have been officially eliminated from playoff contention”. It thought I was living in an episode of the Twilight Zone. I didn’t know how to feel. I didn’t expect any sympathy from fans of ANY other NHL team, because 25 years is still a lot. There aren’t many fans who have gotten to witness their team win 2 cups in the first 15 years of their life, not to mention not seeing them miss the playoffs up until this point. I haven’t had to suffer as a Wings fan. Sure, there have been times where I’ve been frustrated, but I’ve never had to feel the pain that I felt watching this team this year. I don’t want to seem whiny or spoiled. I’m not complaining about the franchise in any way. I can’t complain when I’ve seen my team win 2 championships in my very few years on this planet, and a 49 year-old Leafs fan has never seen his team hoist Lord Stanley. It wouldn’t feel right. I hope that in a few years, I’m right back in a position where I can’t complain about the Wings to anyone. Do you know how hockey players talk about the effects that a playoff run can have on your health? That’s what I feel like now, tired. I feel like I’ve “earned” the right to sit back and watch this year’s playoffs from an outsider perspective. I can root for any team I want, and root against any team I want. It’s almost like it’s a good thing. I’ve said goodbye to many things as a Red Wings fan this year. Pavel Datsyuk, Gordie Howe, Mike Illitch, and now the playoff streak. It’s been a rough year as a fan, and I’ve still got one more goodbye to go. On April 4th against the Senators, we all say goodbye to the Joe. It will be emotional, with all the things lost this year, one more has to go. I ask one more thing of this team. Send her out with a win.